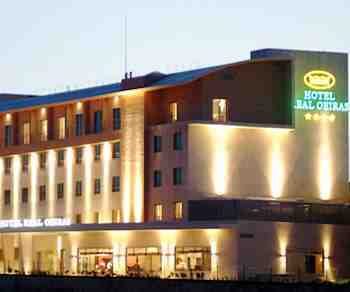 Hotel Solar Palmeiras Paco de Arcos, Hotel Portugal. Limited Time Offer! Solar Palmeiras. 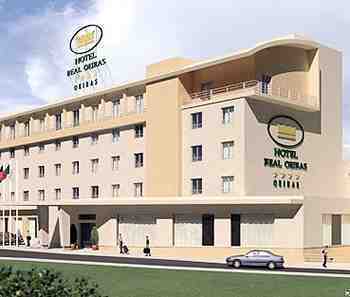 Hotel "Solar Palmeiras" has acquired 3 stars. 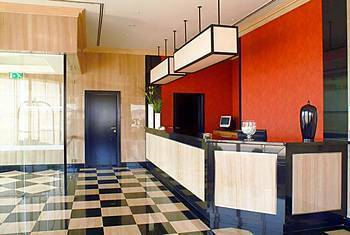 This hotel is an ideal base for visiting Paço de Arcos. "Solar Palmeiras" consists of a total of 34 bedrooms. Inside, it is never too warm thanks to the air conditioning. You have the option to observe nature in the private garden. 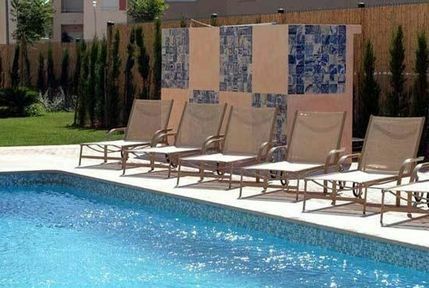 "Solar Palmeiras" features an outdoor swimming pool. By practicing sailing you have the option to make your stay more active. 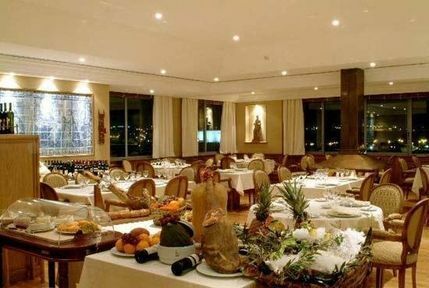 This accommodation includes a traditional restaurant which proudly serves its international and regional specialties. 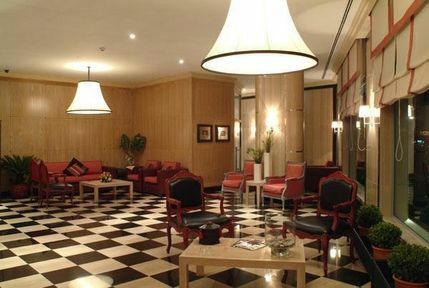 In the evening, you can have a drink at the lounge bar. Businessmen will appreciate that Internet access is offered free of charge. Enjoy a relaxing stay in the Solar Palmeiras, located across from the sea in a small oasis of nature. This lovely 19th century manor house was converted into a 4-star hotel for guests to enjoy a relaxing stay between Lisbon and Cascais. Both cities are just a short distance away by car or by train. The 34 suites include a bedroom and a living room, as well as a fully-equipped bathroom. The majority offer an unforgettable view over the Atlantic Ocean. All are equipped with cable television, air-conditioning and WiFi. 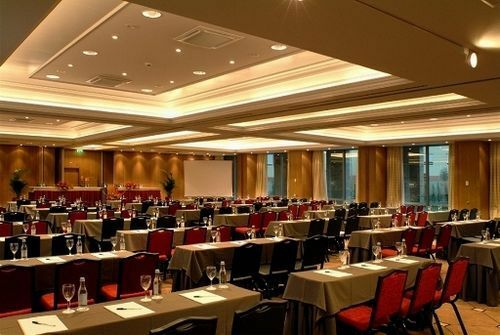 The establishment also features conference rooms, a lounge with television and newspapers as well as restaurant serving fine cuisine. 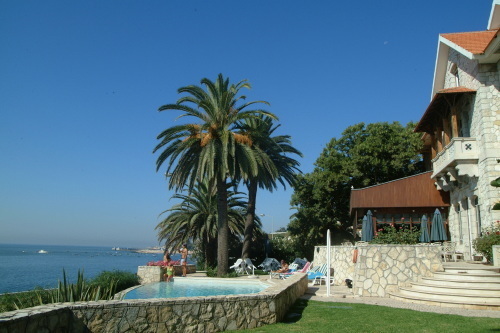 You can also enjoy a swim in the pool in the hotel's palm tree garden, or have a drink on the terrace. 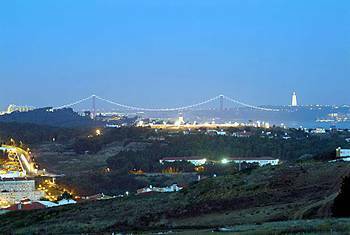 Direction Cascais A5, exit 7 Porto Salvo/Paco d`arcos. then follow indications to the hotel. + The food was very good. 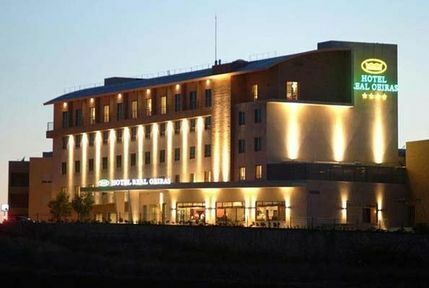 + everything was excellent, staff, room, resturant, pool all made for a very relaxing stay. 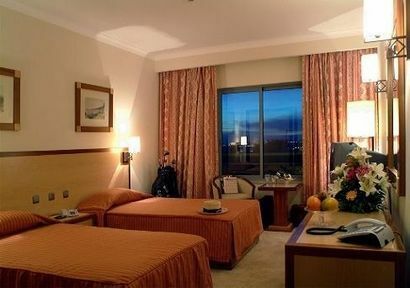 + Nice place, close to Lisbon, between two train stations, 15 min by train to the city center. Good food. The best they have - their staff!